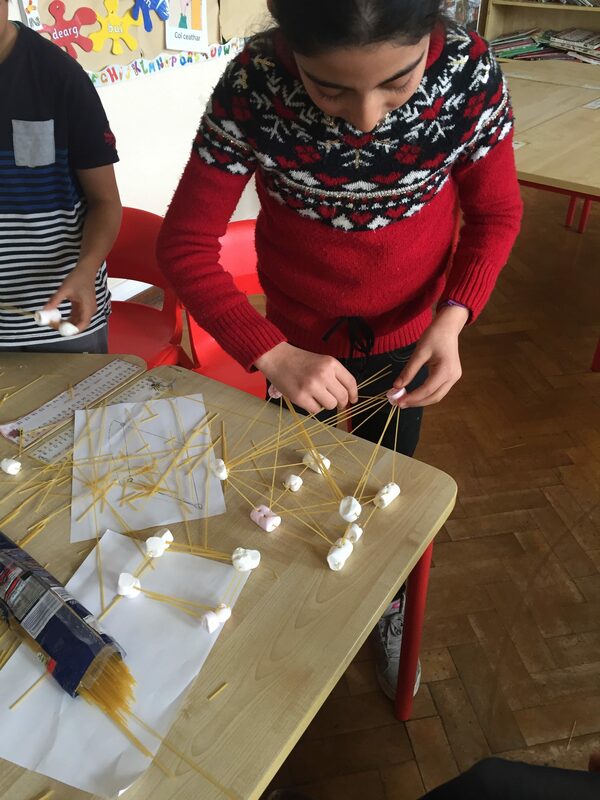 This week in science we were set the task of working as an engineer to build a bridge out of food. 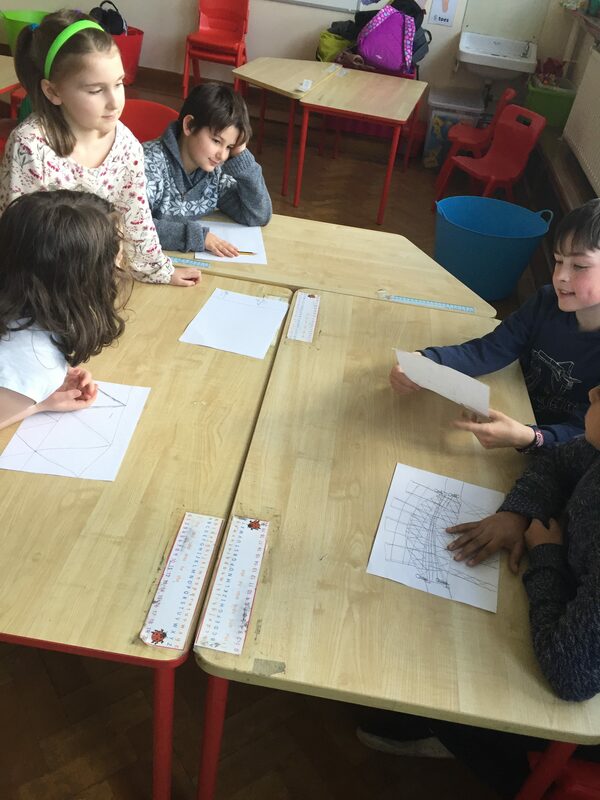 Before we undertook the project we came together as a project team and discussed the work of an engineer. We then look looked at the most important infrastructures in our immediate environment for our build. Fortunately for us, our school is located beside the Luas Bridge in Dundrum. From looking at this incredible bridge we studied the structures and shapes that we saw and deduced that triangular shapes are important when building a bridge. We then looked at some bridges that we had seen on our travels and holidays and we came up with some more examples of bridges Golden Gate bridge in San Francisco and the Sydney Harbor Bridge. 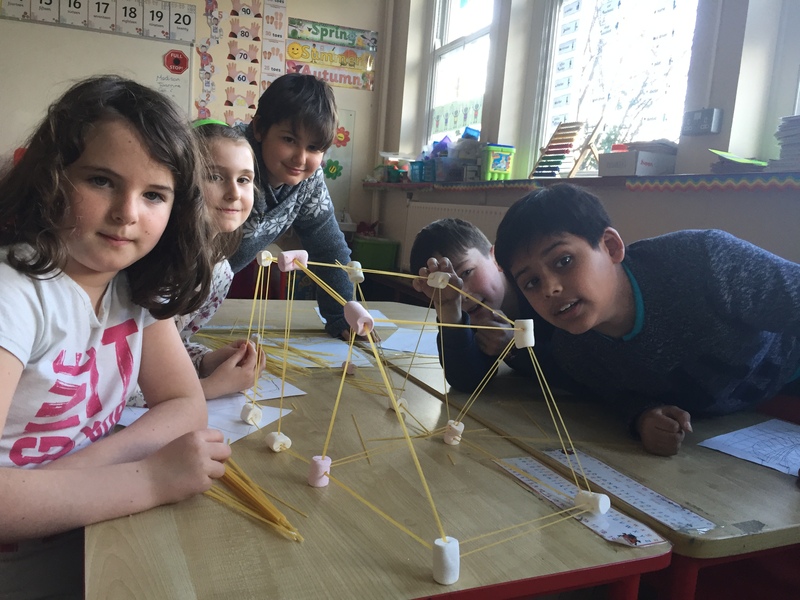 When building the bridges using spaghetti and marshmallows, we realized that sometimes we need to make the materials we are using smaller or bigger to suit the build. 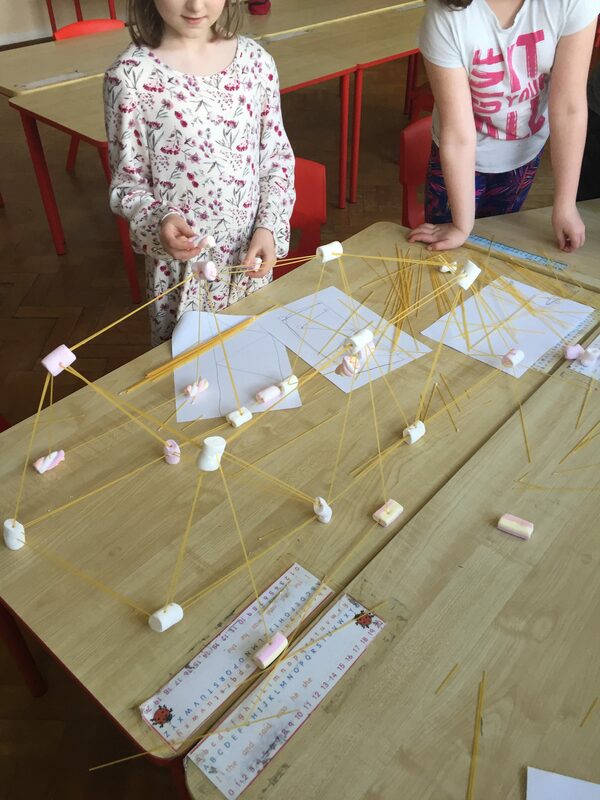 We had to half some of the spaghetti and use twice as many marshmallows to make the structure secure. 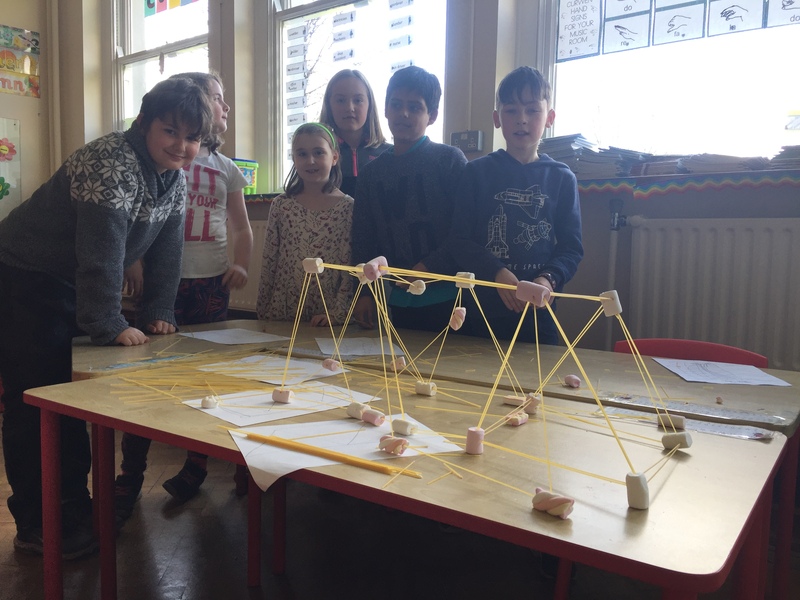 We concluded that if our structure were to stand string for a long period of time we would have to reinforce the spaghetti and use twice as many spaghetti sticks to make the bridge hold. This was a really fun experiment and we learned that it is sometimes hard to work in a team but when we listen to each other the outcome can be very successful.